Spontaneous post on the famous Lanzhou La Mian hand pulled noodles; which is a type of noodle made by stretching, folding and twisting the dough in strands. The subsequent stretching and twisting by the weight of the dough, followed by the number of times the dough gets folded and stretched, this will make the strands of noodles in various lengths and thickness. The post idea was initiated by a tweet from Gary Soup on our @Asianfoodtrail twitter feed sharing an older post from his blog; the Full Noodle Frontity archives: The Rap on Lanzhou La Mian http://goo.gl/EKBXX9 For Chinese language speakers and language students, entertaining and funny to watch a modern praise on a famous traditional noodle dish. 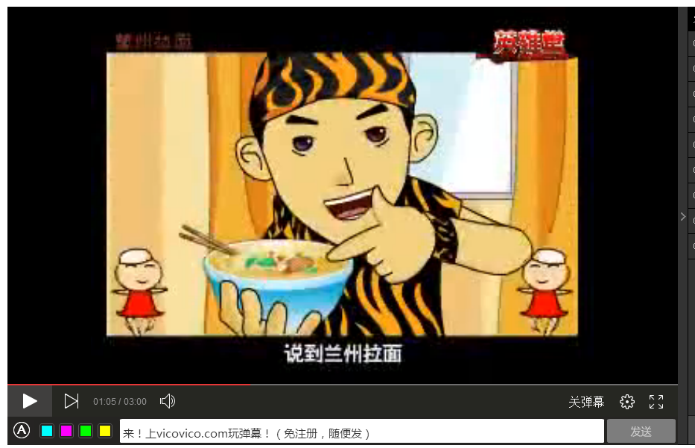 “A rap song about Lanzhou La Mian, by Gansu rapper Gao Xi, as a tribute to his iconic hometown speciality.” Unfortunately, I was unable to embed the rap song video, but you can click on the provided link at the bottom of the cartoon image below to watch the rap in your browser or view in the blog link post here above. Since we are on this noodle topic, for those who might wonder what is Lanzhou noodle, La Mian – freshly made hand pulled noodles. Click on the Youtube video here to watch two kinds of noodle making; the knife shaved noodles and famous hand-pulled beef noodles served in clear broth from start to slurp. My kids are like me huge noodle fans any-style, beef noodle broths and beef noodle soups are highly ranked on our family favourites of comfort food dishes. I promised to write down my recipes for them. 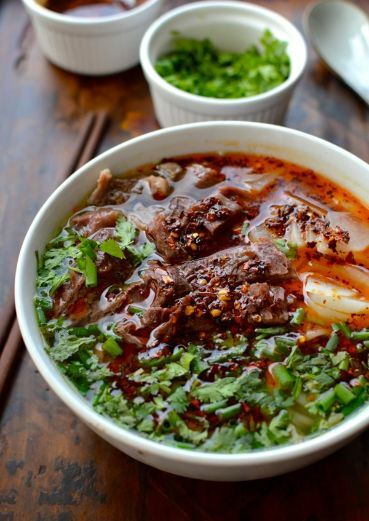 For now, if you like me are getting hungry, a recipe by Judy for Lanzhou Beef Noodle Soup includes beautiful food photography images how it looks after your hard work to enjoy and savour. This recipe originally appeared on the Woks of Life blog, a family of four bloggers sharing their kitchen explorations and travels. Acknowledgements: With thanks for original content and credits to Gary Soup’s lead on the Lanzhou rap song, Steve Lindenman Making noodles by hand Youtube video and The Works of Life family for their Lanzhou beef noodle recipe.